Commentary for informational purposes only. See legal disclaimers here. Trying to get approved for a bad credit loan in 2019? The challenge can be daunting for sure. We've provided our top 25 list for the year, in an effort to help you make the best choice possible. Our list is not ordered best to worst. We don't really like that kind of list because there are too many factors involved. The best lender for you could be completely different than the right lender for someone else; based on where you live, how much you want to borrow, and what your credit rating is. Our numbered list below corresponds to the lender headquarters map. 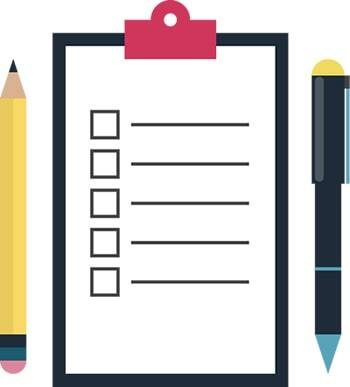 Before you begin browsing this list, we highly recommend using our borrower checklist, before considering a loan with one of these companies. Some of these lenders charge extremely high APR, so do your due diligence before using their products or services. Important Note: We do not receive compensation from any of the lenders in this list, and we do not guarantee your success in getting approved with any of them, as per our terms of service. 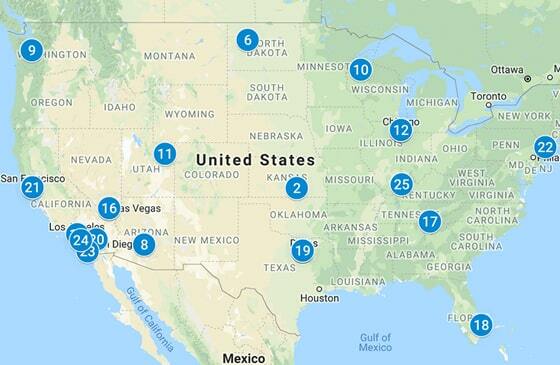 If you believe any of these lenders are not conducting business as per the laws in your State please use our directory to launch your complaint. Courtesy of Google Maps - for informational purposes only. Lenders' corporate addresses rarely provide loans. These are administrative office locations only and don't disperse credit or loans. You can use their website when considering the products they have available in your State and area. - maximum lending will be restricted by the laws in each State. If you can avoid getting a bad credit loan, you should do so. These kinds of loans carry high interest rates (APR), so you should only consider this kind of loan product if you have no other options left. So if that sounds like your situation, here is a quick checklist before you consider requesting credit. It's possible to get approved for a loan even if your credit score is in the poor range (300 - 640). Yes...even if you've been applying with multiple lenders in your area with no joy. You should be fully aware of the laws in your State for bad credit lenders. To make this easy for you, we've included the legal statutes for every US state. You can visit our directory here and tap your State to see the legal codes and usury rates for your area. We've also included contact information for the governing authorities in your state if you want to a launch a complaint against any lender that may be conducting business outside the confines of existing law. Don't let your bad credit score be used against you by a lender who's main gig is profiting from your temporary financial misfortunes. You will need to know what your credit score is, and what your credit classification is when viewed by lenders. As you can see in the image below, if your credit score is below 640, you will be classified as a borrower with bad credit. 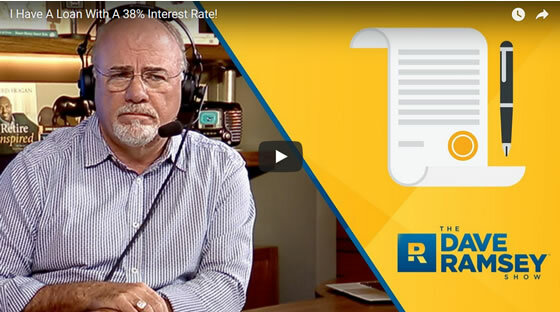 Your interest rate and resulting APR will be affected by your score. All lenders in our 2019 list service borrowers with credit scores in the 300 - 640 credit score range. Not ordered by best or worst. We are not affiliated with these companies and do not receive financial compensation when you use their service(s). Please read our terms of service. Wouldn't it be nice to get an estimate of your APR before you even start looking for a bad credit loan? At WFL we've created our proprietary APR Estimation Tool (patent pending). We think it's pretty cool, and we think you will too. It's only used for estimation purposes, but it can give you a ballpark idea of your costs. It's still a work in progress, so we will be improving it in the future. To use our tool, simply enter your credit score, your zip code, and tap the Get Estimate button. Bingo! In a split second you will be provided with your own personal APR report for your area. Your specific report will be live on our servers for your viewing until midnight PST. You can create your custom reports any time you wish at no cost to you. For estimation purposes only - read terms of service. By now you should know your credit score, credit score classification, and the estimated APR of your loan. You need to estimate your monthly payments, total interest you'll be paying, and how long your term will be. We've provided our loan calculator below. Just enter the amount you want to borrow, your estimated APR (from above), and tap the calculate button. Now you know your credit score, credit score classification, estimated APR, estimated monthly payments, estimated total payments to a lender for the term, and the estimated amount of interest paid out. In our directory we've included lenders who provide different loan types. Here is a breakdown of these loan types for you. The phrase "installment loan" was created at the dawn of the Internet era, when borrowers began searching for that exact phrase. What they were looking for (and often still looking for), are simply loans they pay back with monthly or biweekly installments (payments). Borrowers want their interest rates to be as low as possible, and they want their loan term to be over a year or more. However, now the term "installment loan" has been used to describe short-term loans as well; ranging from 3 months up to 9 months depending on the lender. These loans don't always have low interest rates (or resulting APR); like traditional loans for good credit borrowers. Some installment loans have extremely high APR. Payday loans and cash advances are pretty much self explanatory. Smaller cash loans you pay back on your next employer pay check, or other monthly income stream. These loans carry high APR as well, and should be used sparingly. Title loans, or secured loans, are loans whereby the borrower can provide some form of asset as collateral on the note (whether a larger loan or a smaller loan). For example, you can secure a loan with a title you have on a car or truck. You can of course secure a loan with a boat, RV, motorcycle, etc. 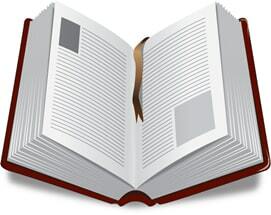 (some lenders allow many different items to be used at collateral on their loans). And of course you can secure a loan or line of credit with real estate. Actually no, not if you don't have to. A bad credit loan should only be considered when you have absolutely no other alternative. A perfect example would be a medical emergency, or repairing of a vehicle you NEED to get to work with, and get you and/or your family members from point A to point B. The resulting APR (annual percentage rate) charged on bad credit loans makes them very expensive forms of credit. If you can find an alternative you should pursue it. It's more important that in the long run you learn to control all spending with good money management habits. Tap image to watch video. With our 2019 list of bad credit lenders we've researched each company in depth, in our very best effort to ensure that none of them are unsavory and/or fraudulent companies. When you are looking for a bad credit loan online (or maybe on a street or avenue where you live), there are ways to tell if a loan provider is legitimate, and trustworthy. "A study conducted by the University of Pennsylvania’s Wharton School of Business said that seniors are easy targets. Using the Health and Retirement Study, a nationally representative survey of Americans 50-and-over, Wharton researchers found that nearly 33% of 1,260 respondents indicated they had been exposed to financial scams during the past five years, while one-third said that outsiders had used (or attempted to use) their accounts without permission." "In a bad credit loan scam, the "lender" often promises to send you a loan, but only after you first send a fee to obtain the loan. They may be as low as $50 or up to several thousand dollars depending on the amount you're borrowing. The "lender" might call this a loan origination fee, loan insurance fee, or even collateral for the loan. You send the money and wait for your bad credit loan, but you never receive it. Unfortunately, by the time you realize what's going on, your money's long gone and the lender is nowhere to be found..."
"Remember to check a wide range of reviews across Google, Facebook, the Better Business Bureau, and sites that specialize in lending reviews. Some scam lenders might try to fake reviews on one or two sites, but if their reviews are consistent across many different internet locations, there’s a better chance the perception reflects reality." Struggling With High Interest Loans? 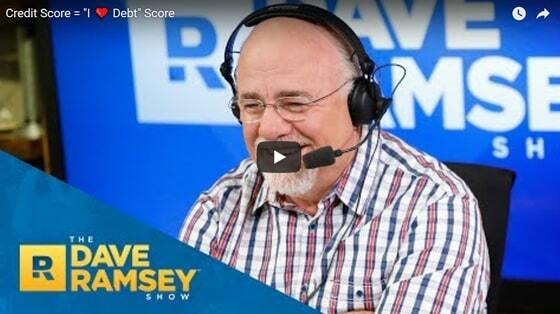 This video with Dave Ramsey may be helpful to watch and listen to - this girl was struggling with a 38% interest rate loan that she used to pay off her student loan debt. These case studies may be useful in that you might see yourself in these stories and get a better understanding on what you can do to deal with bad credit and money management. over 18 years old, USA citizen, checking account, steady income minimum $800 per mo. 12 mos. - 60 mos. Kitty wants to purchase a used car from a friend and consolidate some credit card debt at the same time. She lives in Manhattan NY and needs a car to get back and forth from work. She has been taking the bus every day to get to work and it takes her over two hours one way just to get from her place to where she has worked for the past five years. If she cannot get a loan large enough to purchase the car she will just continue taking the bus every day. It is not something she really wants to do, but she needs to work and this is the only job she has been able to find. She is actually looking for something closer, but so far there has been nothing with the hours she needs and the salary she currently is making. She is wondering if this is really the right decision for her since she will also have to pay for car insurance and gas to operate the car along with tolls each day. Riding the bus takes a lot longer, but it is much less expensive than owning a car. She also has credit card debt of about $3000 that she will consolidate as part of her loan. She is hoping to find a good car for $17000 and just pay one monthly payment. She will also avoid the high interest rate that comes with any unpaid balance on a credit card. Kitty was approved for her loan and she quickly was able to find a car for less than she thought it would cost. She paid off her credit card, and also paid for her car insurance from the loan. She still had money left over, which she promptly repaid to her lender. She will pay less interest over the term of the loan and it will be paid off a few months faster. It gets even better for Kitty. Now that she has a car, she has a lot more flexibility in finding a job. Before she found her car, she always had to look for jobs that were close to a bus route or subway. Now that she has a car she looked for jobs in other locations. She quickly found a job which is only 20 minutes by car from her home! She never could have even considered this job before with no transportation. This job also pays a little better so she has extra money now to pay off her loan and also treat herself once and awhile. No one wants to go into debt. But in this case it made a lot of sense for Kitty and allowed her to improve her life immensely. The loan was worth it to just avoid that long commute by bus! Doug is an entrepreneur trying to develop his online business and trying to take it to the next level. He has been working full time at a regular job for the past several years while he developed his business at night and on weekends. He knows that if he can ramp up the services that he offers, he will be able to push into the six figure income level, but he needs some capital to purchase more equipment and pay staff to help him develop online content and build websites to market his company. He is not quite ready to quit his day job just yet. His current job is an ok job, that does not really excite him, but it pays the bills and there is no need to work overtime which leaves him lots of time to work on his real interest. He has given up a lot of personal interests in order to make this work and wants to expand by hiring help to make his expansion. While he is only applying to borrow $60k, it can be quite difficult for small business owners to arrange for consolidation loans. The usual issue is that it is difficult to substantiate continued income from the business. Doug needs, or would like $60k, based on current plans that he has developed to take his business to the next level. Fortunately for Doug he has a regular job that provides him with a stable income. Based on this income and his current credit score, it would be difficult for a lender to approve a loan as large as this one. He simply does not make enough money and the lenders are unwilling to lend money on the basis of his expansion plans. While this is not the answer Doug wanted to hear, all is not lost. Doug has several choices at this point. He can spend some time flushing out his business plan to bring it up to a standard acceptable to lenders. He needs to demonstrate where his income will come from, perform risk analysis on it, and show his revenue / expense ratios. You have to spend money to make money and sometimes in the initial years you spend a lot more money than you have coming in. He needs to show his growth curves for both revenue and expenses and be able to support the numbers with as much data as he can. The second approach is to apply for a smaller loan based on his current full time job. He has a few debts at this time, which he could consolidate. He would still have some funds that he could invest in the business. Doug has some decisions to make before he proceeds with his planned business expansion. This report will be updated throughout 2019 with more additions, such as more videos, expert quotes, and updated lender information. In order to make this page as helpful as possible, we've included expert images and videos. If you are one of these experts, and you would like your reference, image, or content removed, please contact us, and we will comply within 72 hours. If you are one of the lenders featured here, and would like something changed or removed, please do the same. As mentioned at the top of this post, we are not affiliated with any of the providers in this 2019 report, and we do not make money from the links to their websites. If that changes in the future, we will post notice at the top of this page immediately. We hope you find this information to be helpful in your quest to get your financial house back in order. Lance Somerset holds a degree from the University of Illinois. His expertise is in the field of personal finance, and is a fact checker for various online outlets in the United States. He was raised in Chicago, and now resides in Rancho Mirage, CA. Visit Lance on Quora if you would like to ask him a question.